Moureen Kionga is the Personal Assistant to the Chief Executive Director at Ifakara Health Institute. She holds a Postgraduate Diploma in Business Education from College of Business Education (CBE) and has over 8 years of administrative experience in diary management, correspondences management, documentation, events coordination, travel arrangements, preparation of minutes and generation of progress reports. Working in different private companies like Nandos, NPK Technologies, Soft Tech Consultants Ltd exposed her to project administration where she had to ensure the project runs smoothly as per the project plan, standards and procedures, giving full administrative and secretarial support. Due to her outstanding performance at Soft Tech Consultants Ltd she was promoted to a Personal Assistant to the CEO, and later moved to Symbion where she worked in similar position. As a PA Moureen was exposed to all the administrative processes within the office, as well as providing general secretarial support to the CEO and the entire management team to enable the smooth and effective running of the organization at large. Her experience also contributed to development of her organizational and time management skills, writing skills and communication skills. 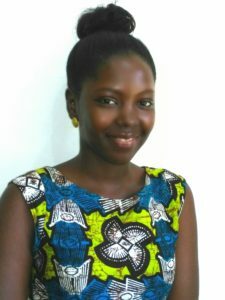 Moureen Kionga, joined IHI in October 2016.